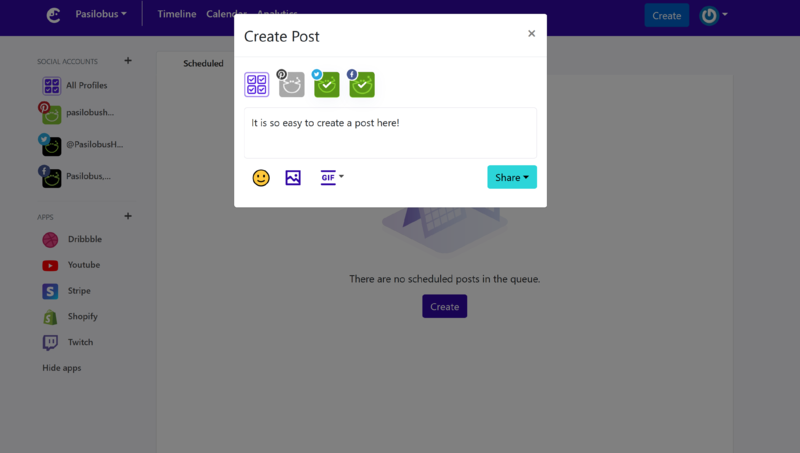 Post Editor is where you craft your post that you are about to publish in the social world. Creating a post is easy on Comity. You will find the "create" button always at the top right of the screen. 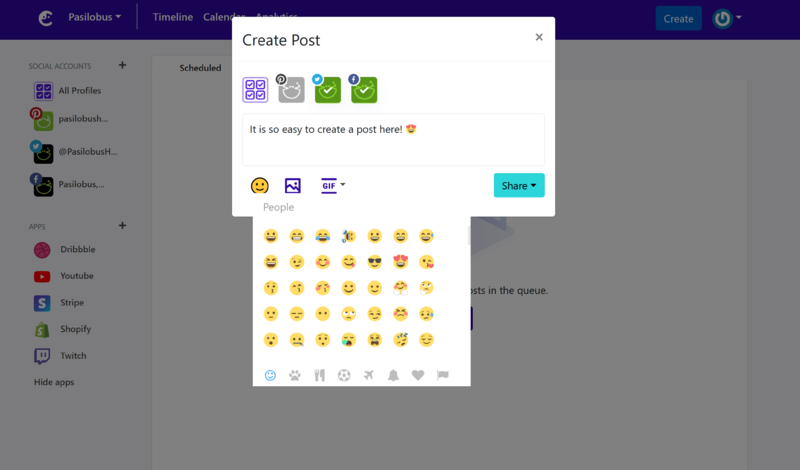 First, select the social accounts you want to post to. Enhance with media or emojis. When you are ready, click on "Share button"
When you click "Share" you will be prompted with more options. 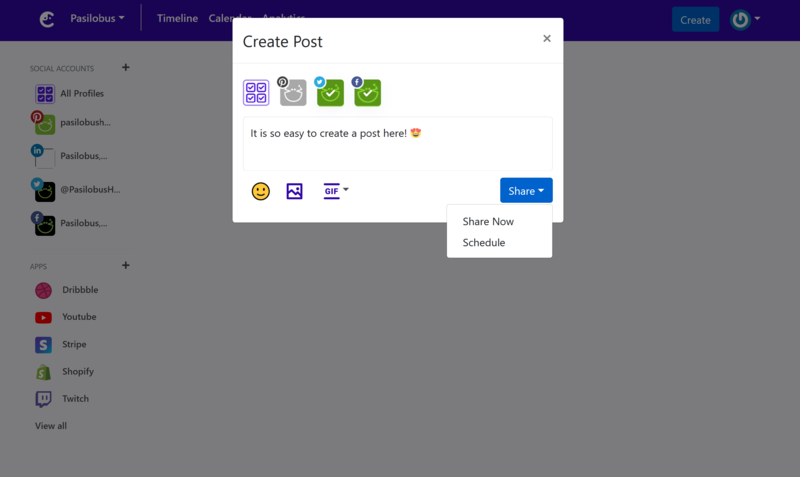 "Share now" will publish your post instantly. 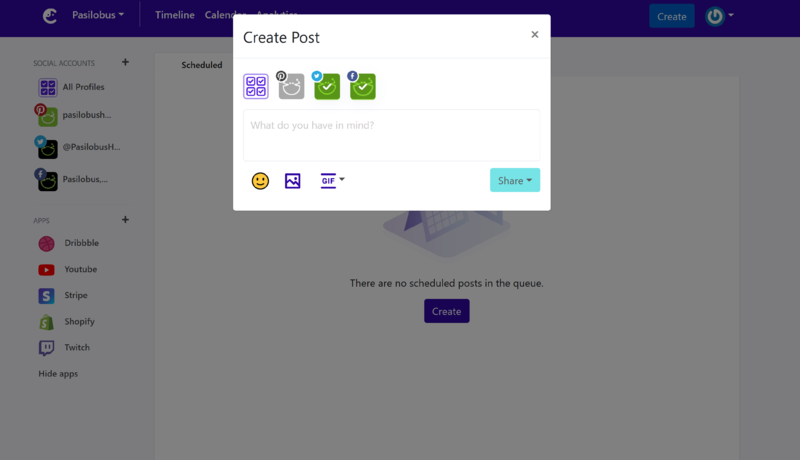 "Schedule" will allow you to publish your post at a time in the future. Next, we will look at how suggestions work in Comity.